In the late morning hours yesterday, November 26 2016, I was given a dream revealing a coming sudden event. I do not dream often, and when I do, I usually don’t remember them, but in the last three years, I have had several prophetic dreams of trouble coming to the US. These dreams have left me with feelings of deep sorrow, anguish, despair, and confusion that people will experience once the chaos commences. As a result of these dreams, I have been led to personally prepare my mind, by the daily renewing of my spirit, through deliberate and persistent communion with the Most High, really pressing in and learning how to abide under His shadow. Two years ago, the Holy Spirit spoke to my husband and I both (at separate times) and had us move out of the city to a whole new state and a very rural community. We have had to totally rely on Our Heavenly Father every step of the way. It has been awe inspiring to watch God work in our lives in the most miraculous ways. I knew I had about an hour. I also knew I had previously discussed leaving with my co-workers, including conversations about where we would go, etc. After I received this word, I told my friends it was time to go. Some of them who had been warned to leave refused to go, but five of them reluctantly agreed to leave with me, including guys and girls. One of them was a registered nurse and the recognized leader of our group. She had a company van with considerable cargo space that we were going to use for our journey. She immediately went off to gather all the medical supplies she could get her hands on while other members of our group dispersed to gather other necessities for our journey, mostly food, water, and equipment that would keep us warm, and gas for the vehicle. We parked the van in an alley, away from the main building, so we would not draw undue attention to ourselves as we prepared to leave. On my last trip back to the van, I was carrying some very heavy items in my arms. I was aware that more than an hour had already passed, so I felt the need to hurry, but I could not go any faster because of my heavy load. Suddenly, I floated up above the ground. I realized I could control the direction, height, and speed of my floating with my mind. In this manner, I made it back to the van in record time. When I got close to the van I touched down and walked over without anyone noticing. Then I impressed upon the group that we were past our one-hour deadline, so we needed to get going. 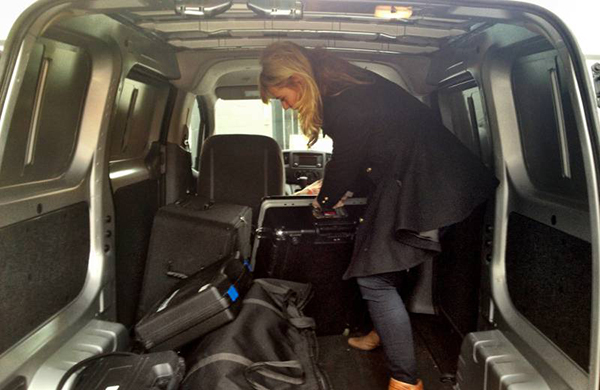 I hustled to get the last items into the van. One of the ladies in our group was bringing her young son with us. He came running over to the van and insisted on showing his mom something on his phone. Immediately, I knew he had a video of me doing the floating thing. I ignored him because I was hustling. I noticed the wheeled stretcher that I had placed near the van had not been loaded and I was concerned that we now had to leave it behind because the van was already stuffed to capacity. I had intended for it to go in first. I thought my friend, the registered nurse, would see its’ value and make sure it got loaded, so I asked her about it as she walked over. She said not to worry about it, that we would work around it. I noticed her tone and manner toward me had changed, she was being nicer. A few of the others came up to us, but they were also treating me differently since seeing the video, like I had a new level of authority. They were directing their questions to me now instead of the nurse. They asked me if I felt like we had everything and what else could they do to get us out of there. They were now moving with the same urgency as I was, as if they were fully on board. I saw him working with the phone when the little boy rushed over and grabbed it. When he realized his video had been deleted, he was enraged because he said it was going to make him rich when it went viral. He then got into a shouting match with his mom and said some very mean, nasty, and disrespectful things to her. He decided he was not going with us, but would stay with his Dad. At this point, we finally piled into the van and left. As we left, everything around us still looked normal and there was no reason to believe anything chaotic was getting ready to happen. I was not ready for the event although the Holy Spirit had warned me it was coming. For example, it was winter, but I was only wearing a long-sleeved T-shirt and above the knees cargo shorts. As we were leaving the downtown area, we noticed roads that had been open earlier in the day were now closed for construction, so we had to take multiple detours. We stopped at the police station to meet with a contact to pick up weapons and ammunition. Our driver dropped some of us off at a back door then drove around front to wait for us. As we were going through the back door, a woman was coming out, followed by a man. I noticed she was dressed in dark jeans and a dark gray polo shirt, untucked. I could see the outline of a hand gun in the waist of her jeans, at the small of her back. I thought, “She is armed illegally for a police officer”. I immediately knew she was part of a covert government operation. The man was dressed in the typical navy blue police uniform, but with multiple insignias, showing high rank and tenure. He was relatively young, tall, and quite fit. I knew he was the police chief. I overheard their conversation. The woman said, “It looks like everything is starting; the unrest will spread.” She did not say, “According to plan,” but I knew a plan was inferred. The man replied, “Yes, looks like it’s time to shut everything down. This confirmed to me that I had correctly heard from the Holy Spirit to leave the city, and that part of what was coming was a planned event orchestrated to incite chaos. I paused my step and thought, “Now how would he know that?” The weapons we had picked up were concealed, so there was nothing to reveal our mission to him. I looked back at him and he looked me straight in the eye and gave me a firm nod as if to say, “I see you for who you are in the Spirit”. I immediately recognized him as an angel and returned the nod. Then I woke up. I was not ready for the event although the Holy Spirit had warned me it was coming. I believe this confirms what the Holy Spirit has told me repeatedly, that we cannot be ready for what is coming because the troubles to come will be an exercise in total reliance on and obedience to God. We must do what God leads us to do in this current time of reprieve, whether it’s storing food and other supplies, learning special skills, moving to a new location, etc. HE will do the rest. Even though I had a full throve of survival food and supplies at home, as well as a bug out plan for me and my family, when it was time to act, I was not near my stash of stuff and I was not with my family. I had to rely completely on God for my safety and supply. Regarding the floating phenomena, at first I regarded it as literal, but my husband helped me to see that the Holy Spirit will cause those around us to recognize our spiritual authority at critical times during the coming troubles when we are being used of God to accomplish His plan. I believe the young boy talking disrespectfully to his mother was a foreshadowing of how families will have disagreements leading up to the time of trouble and how the enemy will use offenses to separate and divide the family of God at the most critical times. I believe the road detours we encountered as we were leaving the downtown area indicated how the enemy will put multiple obstacles in our way to keep us from following the Holy Spirit’s instructions on how and when to act. We must see those obstacles for what they are and keep going. Stopping to get weapons and ammo was largely symbolic of putting on the full amour of God as we journeyed into battle. We were going to have to fight to get where we were going. The homeless man represented an angel of the Lord. He recognized us as warriors going into spiritual battle because we had our armor on. The weapons of our warfare are not carnal but mighty through God to the pulling down of strongholds. (2 Corinthians 10:4). The encounter with the homeless man was also a reminder that as we hurry and bustle about our Fathers business, we must be careful not to miss the ones God wants us to minister to. We might encounter angels unaware. Regarding the guy in our group who was told to go to the corner of Bradley and Trinity, I believe the Holy Spirit was confirming that if we follow His instructions and meet in the Holy of Holies at appointed times, if we go to where the Trinity abides, the angels will be commanded to assist us. I am sure I have not yet uncovered all that the Holy Spirit wants to communicate in this dream and I will remain prayerful to hear what else I need to glean from its’ meaning. Feel free to chime in if God reveals something to you that I have not yet understood. One thing is clear; trouble is coming and there is not much time left. Reenie Miles received Yeshua as her Savior and Lord at age seven. In 2003, she was married and they have four children. In 2014, she received a dream revealing her calling to minister to those who would come seeking food, shelter, and refuge from a future calamity. Her calling fits well with her gifts, which are mostly administrative in nature. To that end, God moved her and her family out of a major city and relocated them in rural America where they are preparing for the days ahead, as God directs and guides. Many people are not even prepared for their own personal rapture as well. Not everyone who says, “Lord! Lord!” will enter in. This word is good reminder to be about the fathers business, and not be easily distracted. I see to many Christians argue over petty things, and they end up missing the boat. I really enjoyed this word. On that day no one who is on the housetop, with possessions inside, should go down to get them. Likewise, no one in the field should go back for anything.Remember Lot’s wife! Whoever tries to keep their life will lose it, and whoever loses their life will preserve it. You left a really interesting post that I can’t find concerning Queen of Heaven and the people of Egypt. Can you send me some additional information on that? I can’t find your post but I would love to know where I can follow up on what you were posting about. Todd the Q.O.H. came from simply reading and studying Jeremiah 44. Give Jer 44 a read. Adam when I awoke from from my vision my instant reaction was exactly that…WOW! I have never experienced any vision quite so powerful before and I’m talking physically…I could literally feel the unseen force of the Holy Spirit rigidly strapping me into my couch that is why I knew my spirit was shot up to space! Then the gentle release as I was awakening until I could move freely again and I arose from the couch. This past June I had a vision regarding NYC. Water was rising very quickly to the point where the arms were ripped off Statue of Liberty from the current, and eventually she completely disappeared under the water. Did you know that Donald Trump is not going to live in the White House. He said is will mainly live in Trump Tower, and shuttle back and forth to the White House. Hmmm that’s not a good move on Trump’s part because NYC will either be nuked or submerged by a tidal wave or w combination of both..of that I am certain. I have wondered whether Trump is aware of the establishment’s plans or whether they will completely blindside him with their false flag agenda. I have a question. Was the other place you were taken to a city also? Hello thank you for your comment. I cannot remember where I was taken to but it was definitely another part of the globe. The only difference between the first and third scene of Manhattan was that in the third scene I definitely saw a type of military helicopter quietly hovering past some of the buildings. This helicopter was definitely not there in the first part of the vision and I knew in my spirit that it came from wherever I was taken to in the mid-scene. Wow…so many dire prophecies. And we know at least some surely must be true. Even this election may not be over, as forces are arrayed trying to overturn it. If they did, Trump supporters would be furious–to what extent who knows. If Trump stays in—massive protests, rioting. If things get so chaotic as Mena Lee, Glenda Jackson and others have warned, martial law could keep B.O. in power. If great destruction hits New York City—that could be another excuse for martial law. People on this site talk about bug- out bags, lol, or something like that. Over 40 million people are retired, over 1 million are in nursing homes, and hundreds of thousands are in a hospital under doctor’s care. Most of those can’t go anywhere. Whatever will happen to them will just…happen. Perilous times. When you’re younger, you feel you can survive for a time in the wilderness and no doubt many can, and will. Us older folks who are grandpas and grandmas—I can’t see us running through the woods from a grizzly bear. Anyhow, Praise GOD! Whatever happens if we’re at ground zero of a bomb, or one of the tsunamis overflows us, or Russians shoot us–or we starve to death in a cave…If our hearts are right with the LORD, if we’re living a holy life, and expecting Jesus, then we will be OK. As Paul said, to be absent from the body is to be present with the LORD. Worst case scenario—someone sends us to heaven. Recently Peggy A. wrote a really nice similar comment which I found very reassuring. GOD bless. YES! Peggy—comment number 2. It just touched my heart. Thanks for posting it again. To me that’s beautiful, and true! Actually, this is a God-incidence (not a co-incidence). The ending of my Comment # 2 had to do with God never leaving or forsaking us. Then I opened this e-mail from a friend with a prophetic calling. I think that what is stated here will be important to realize……to settle it in our minds and spirits ahead of time. Thanks, Jesse, and to God be the ENTIRE glory! WOW Skylark. My story is so similar in how the Lord led me to prep. It first started with building up my pantry with staples. The focus changed last year to long term food storage. This year it changed again to Grab and Go bags. Finally, the last was making my old SUV a large Grab and Go bag. I put a large cargo carrier on top of my car and put as much camping gear in it as would fit. I placed a bike rack and bike on the back. God even provided the camping gear at great discounts. I also had wanted a trailer but God has not provided that to me yet . I don’t go anywhere over an hour away now without my SUV, Grab and Go bag and bike. People around this tiny town probably wonder if I am crazy. Some people ask what I have in the car carrier or why I always have my bike on the car. This past week, God allowed me to get the very last few bits of camping gear. It leads me to believe, we are very close to something happening. Susan, regarding the trailer…I don’t have one either but was clearly instructed to pack as though I do. I was told to install a trailer hitch but to not go buy a trailer. Left me with the impression that one would be coming my way or someone with a trailer would be coming my way. I spent quite a bit of time over the years praying about prepping versus not prepping (Luke 17) and what I received for my circumstance were that both can be correct. What I have been shown is that initially I am meant to survive in order to lead others to a safe place in the wilderness. Once there I am given a new list of people to go find and bring to safety. Rinse repeat for some time. I was also shown that there will be a time when we are to just flee…taking nothing. These are two different time frames with surviving occurring first then later just fleeing. When I was shown the encampment in the wilderness it had a shimmering dome or veil all around it that we could pass through…others would not be allowed to pass through or even see the encampment. Regarding the pack or “unpack your bags and settle in” I believe it might pertain to the individual and their circumstances or assignments. One may already be in a safe place so they can unpack. Others like myself (living on the outskirts of a very large metropolitan city) may need to be packed and ready to go to a safer place. What I was shown pertained to me and my circumstances, not necessarily what others should do. Everyone needs to seek the Lord for guidance. Skylar, do you know where this safe place in wilderness is located? I also think I am doing the same thing you are. Almost like an underground railroad for Christians. I think I have a piece of the puzzle for you. Todd, I have not been given an exact location but have seen the area is mountainous and forested with a river and lake. Your description of “almost like an underground railroad for Christians” is what I have seen. I was shown that there are a number of these encampments around the world. The ones I have been involved in within dreaming are like an underground railroad. There was a lower camp that was something like a transfer or sorting station. This is where I led the majority of people. Then a lot of them were later led to another encampment much further up in the mountains. This second one was like a community encampment. Within this one I often found myself on the edge of what looked like deep red stone canyon where you could look out over a great amount of the landscape. There were watchmen at all the camps. Lastly I was shown that there was an even higher much more remote camp that was not populated yet. I only was shown this one from a distance. This was the ultimate safe place that many would flee to like in Luke 17. What is the piece of the puzzle? I’m curious if our paths will cross. I know where a place is, sounds like the 2nd place. I don’t know. Are you in the U.S.? And what region approximately? I think our paths may cross in the future. We share the same calling in the same region. What region are you Reenie? Lol, I don’t think we could possibly be any further away. I am in the Ohio Valley area. Sometimes I think that maybe I might connect with others to find “pit stops” along the way. I think I am beginning to realize that the people who I will help will be totally unprepared and asleep. I see my role as a transporter. Feed them and give them water and send them to a safe place in the mountains that has already been prepared. Best of Luck to you. Good point. James just posted a flying dream. I mean this is totally awesome. We are definitely in for some crazy times ahead. Skylar, that is very interesting. I do have the trailer hitch and one of those extender racks. I always thought it might be for a generator and gas cans. Also, I knew that if God wanted me to have a cargo trailer or regular trailer, He will provide it. I do think at some time in the future, Christians will need to flea to safety just like you mentioned. I have been watching some Christian movies on Pureflex the last two weeks, and it is amazing how much of the end times are being revealed in these movies. Much of what I am seeing, directly relates to what we read on Z3news. Awesome, Skylar! Thank-you for sharing. Alright, I’ve been reading prophecy after prophecy concerning this imminent economic collapse/judgment coming to this nation — in addition to just FEELING in my spirit (especially when I fast) that time is almost out…in addition, also, to certain dreams that I’ve had; both recent and about a year or so back. So does anyone have a ballpark time frame when it’ll occur? This week? This month? 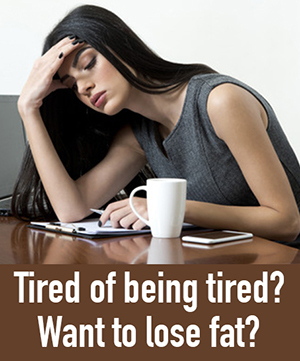 …after the holidays? …after Trump’s inauguration? Don’t get wrong. I’m striving to trust the Lord completely here. I suppose, though, I’m just getting anxious about when it will finally happen. When I woke up from this dream, I intently listen for the Holy Spirit and search the details for any hint of a time frame. Although I was left with the impression that there is not much time left, I have no idea in regard to days weeks or months what that means. I joke with my hubby that I have anticipation fatigue. That’s why it’s so important to spend daily quality time with our heavenly Father allowing Him to renew our minds and give us His peace. I think if we had too many details regarding His master plan, we would some how mess up whatever part may have to play. So, rest in Him. He is handling all the details. Fyi ,.my son Jordan was seven years old when he spoke in his sleep these words. My wife and I were directed to move from Pgh,.PA- to North Central Arkansas,.the Ozarks months later. I sense it’s a crucial time to pray and fast,.get small and stay small. Hi Robert – where in the Ozarks are you all? We are in NC Arkansas too, the Flippin area. Hi Nancy & Robert, I’m in North Central Arkansas also since moving here from Princeton, NJ in 2005. Z3er John Barry is also. Perhaps we should form a group? Hi Robert, Nancy and Bob. Over the past several months I have read on this site several folks who have relocated, or are considering relocating to the Ozarks in Ark. , or Southern Mo. I have thought about it and have told some family I would like maybe to go there also, as it may be a place of refuge. But…I have also heard the numerous prophecies of the New Madrid earthquake happening when (if) the USA forces Israel to divide their land. I’ve noticed that the Miss. River is the Eastern boundary of Arkansas. For the earthquake to split the entire nation in half, creating a giant chasm from the Great Lakes to the Gulf, that would probably require a gigantic earthquake of 9.0+. North- Central Ark. I’m guessing is 100-150 miles away (can’t tell by the map). If an earthquake that big, or nearly that big, hit that close to where you folks are—would that be a problem? Maybe I just think about stuff too much, but if I can I would still like to move there—or So. Mo. close to Jim Bakker’s place, or to the Smokie Mountains. These are just my thoughts, hopefully not too troubling. GOD bless all! Jesse, you bring up a good point. I’m located about an hour and a half south of Baker’s place. I don’t think the expanded Mississippi will effect us. Excellent climate, low cost of living. Have much acreage, stop by and have a look. Bob I noticed on the map that in Northwest Arkansas there is a spring. I’m thinking in desperate times, continually running fresh water is a major asset. Anyway—-when I can—I definitely would like to check it out. I’m retired, so time is no problem, lol. Thank you brother. Jesse, I’m also retired and there is inexpensive land here you can rent or buy. I’m not sure how badly we’d be affected by a big earthquake, we’re about 150 miles or so from the Mississippi. I’m putting that in God’s hands. For some reason we ended up moving into a nice little cozy log cabin (wasn’t planned) and it just so happens when they built this house they put in a huge steel beam in basement the length of the house for support, so I’m hoping that means this house will sustain a major earthquake. We are also about 400′ above Crooked Creek and the White River below Bull Shoals Dam, so in case of a break we’d be high enough. Our house we had before would probably not have sustained a big quake. Overall it is a very lovely area to live in, not alot of crime, good people around here, lots of outdoor activities. We have a trout fishing guide service and that’s what we’ve done for 20 years now, so we love it. It is a good area to retire in too. Hope that helps. With a huge steel beam—and GOD’s protection—you sound pretty safe. I have a neighbor who lived there for a time and really loved it. He said the winters were not too bad, either. I have looked online some at apartments. Oh well—LORD’s will be done. I once lived in the Smoky Mountains and loved that. With the creek, river, dam—and good fishing—sounds like you all have an idyllic place to live. Thanks for the info, and GOD bless! MARK IT ON YOUR CALENDAR ! July, 2017 . Prophetic revelations will come in like explosions, through MUCH persecution ! MANY things must transpire before then ! One major thing, is the One World Government being set up. For that to happen, the whole world must go into chaos. Hang on to your hats ! Things are about to get bad saints ! There is a serious school of thought that believes the coming A/C rules ten countries from the territory of the old Roman Empire and that the four scriptures in Rev. 13 that say he will rule “all” the world should not be taken literally but are a figure of speech called a synecdoche of which there are hundreds found in the Bible in which a whole is put in place of a part, as we would say, “Everyone in town” or “the whole country” or ALL the people in the country were there last night. Remember the Germans couldn’t conquer Russia in four years and we have been in Afghanistan for 14 years. I agree with this “school of thought”. I would also say that “the powers that be” want us all to believe that they are all powerful, unbeatable and will rule the entire planet; which I do not believe. Lee, if you like this school of thought then order Dake’s Revelation Expounded. Worth it’s weight in gold. Lee, Satan is the prince of this world but is on a leash since defeated at Calvary. What if the ten kingdoms with ten kings are not physical kingdoms? What if they are systemic? And what if they already exist, but we need eyes to see in order to discern? I’m not trying to super-spiritualize things. No, these kingdoms are very real. But we know them as virtual reality. Just some food for thought. Stacey I did have a revelation that FB is a very crude attempt by Lucifer to have us all connected. He duplicates everything that God has. So everyone loved FB at first but look what it has turned into. So it will be interesting to see where this all plays out. Technology will absolutely be involved because Lucifer does not have any power compared to the Lord of Lords and Kings of Kings. Ok this is very strange. 2 hours ago I read your post. All completely new concept to me. Laying in bed listening to Anthony Patch. https://youtu.be/d3AcVMJxpnc I never heard of him before and BAM! Start at the 55 minute mark. We have all already been uploaded as Nodes. Avatar 2016. Whoa! I still researching this. Not very strange, actually. The LORD is in control. I watched a few minutes of your link and then bookmarked it for later. Very interesting, but they don’t win! Here’s a link that, at first glance, might not seem to relate. Hang in there, though, and the connections will pop up. I ran across it the other day “by accident”. Happy researching! Stacy, is refreshing to hear from an original thinker but I think you and your friend Sam have made Bible prophesy much more complicated than it is and when you consider most Christians can’t tell you how many visions Danial had in his 12 chapters or what are the 70 weeks of Daniel I don’t think God wants to take us into virtual reality or make Bible prophesy any more complicated. In Daniel C.2 we see ten toes as the last government that is destroyed by Christ. In 7:7 we see a dreadful beast that follows Greece witch most believe to be Rome out of witch comes ten horns (that correspond to the ten toes of C.2). Out the ten comes a Little Horn with eyes like a man and a mouth speaking great things (v.8) that most agree is the A/C who is destroyed by the Ancient of Days and the Son of Man (God the Father and God the Son). “The ten horns are ten kings.” So we have a ten nation confederation and “another shall rise after them and shall wear out the saints” (the A/C), v.24,25. It’s not so esoteric. The only questions open to debate are where and when will these ten nations and A/C arise? I hope you don’t transcribe any more of Sam’s book because I’m a slow reader without much time. GB. Bob, could you point me somewhere to help me understand why “most” believe this to be Rome? You did not address my question about the seventh beast/kingdom being diverse/different from all those that came before it. That is also part of verse 7. I agree that the ten horns are ten kings. But where does it say that the kings have to be ruling ten geographical kingdoms? I freely admit that I have a lot to learn, but the interpretation you put forth came from an earlier time when today’s realities were inconceivable. God’s words are eternal and will be very relevant and specific for the time in which they are fulfilled. poetry full of esoteric allusions. belonging to the select few. I fail to see the connection, but you are certainly entitled to that opinion. I pray Father God will open all of his people’s eyes to see the same things, believe the same things, and pray in His Kingdom. Jesus is returning and HIS Kingdom is a never-ending Kingdom! God bless you, Bob! Stacey, During the time of the gentiles there have been and continue to be eight kingdoms that God used and will use to chasten Israel when she misbehaves: Egypt, Assyria, Babylon, Medes-Persia, Greece, Rome, Revised Rome of ten nations and the A/C. “Here is the mind which has wisdom: The seven heads are seven mountains on which the woman sits. 10 There are also seven kings. Five have fallen, one is, and the other has not yet come. And when he comes, he must continue a short time. 11 The beast that was, and is not, is himself also the eighth, and is of the seven, and is going to perdition”, Rev. 17:9-11. This clever puzzle leads us to the origins of the A/C. He is one of the “five kingdoms that have fallen” and “WAS”, but “IS NOT” the one of John’s day or Rome. Verse 8 says, he shall ascend out of the bottomless pit. Only a spirit could exist once, go to the bottomless pit and return to reign again and it will be the Spirit of Grecia that once ruled with Antiochus Epiphanes and was a foreshadow of the A/C who Jesus referred to as performing the Abomination of Desolation. This explains why Daniel was given four visions of the end time that point us to the Assyrian. A Revised Rome of ten countries will form after the E.U. collapses that will include Spain, France, Italy, Greece (as per Bennett) and several Muslim countries. Out of them will rise the Little Horn, the Assyrian. The A/C will be a man, a spirit and a kingdom. If Obama comes up with a ME peace treaty in the next 50 days will the UN send him over to Syria to administer the peace? Thank you, Bob. As no one has all the answers (including myself), I will continue to read, ponder, and pray. May the Lord Jesus bless you with more wisdom as you seek his presence. A false flag event like 9-11 will be followed by civil unrest, marshal law and WW III. The West, Russia and China will be crippled. The King of the South (Sunnis) will attack the King of the North (Shiites) and be defeated by the Assyrian. Then ten nations will form Revised Rome as per Dan. 2 & 7. The A/C, the Little Horn, the Assyrian, will make a 7 year peace treaty between Israel and her neighbors and will rise and overthrow three of the ten countries and then rule them. He attacks Israel but is distracted by trouble in the North and East. He conquers those counties and returns with them for the Battle of Armageddon. Then Jesus returns, defeats the A/C and all Israel is saved when they see the holes in His hands, feet and side. Note: All the countries that attack Israel in Ez. 38-39 and Ps. 83 are Muslim and the US, Russia and China are not to be found in scripture. A very interesting interpretation. Thanks for sharing. …you know, I had another particular dream, three months back, where a certain number added up to the time period of July, 2017. 2017 is going to be a “shift change” year, for sure. Many believe this year 5777 is a Jubilee year as was 1967 (Jerusalem returned) and 1917 (Balfour Declaration), 1517 (reformation). Everything is restored in a Jubilee year. My son was throwing a ball in the house and knocked over a ceramic lamp and it broke. The lamp had been an old vase that was later made into a lamp and the inside was stuffed with old newspapers. The piece of crumbled newspaper showing was looked like it came from some kind of cartoon and in the “word bubble” it said that a national emergency has been declared. Hmmm. That’s a good point, in that if we were privy of too many details — we’d somehow mess it up. Fallible man is pretty good at doing that, lol. Micheal Boldea says 9/11 was just a poke with a little finger, the FIST is still coming. Yes Martin I now call it “The event” because I feel as though everything will change in the world once it happens…the world will rapidly accelerate towards Jesus’ second coming once the event transpires. That is actually very keen insight in how visions from God/Holy Spirit are like watching something in clear, vivid, ultra HD. Man…it most often seems to be centered around New York or NYC. Something about that place, evidently. Thank you for supplying this timeline insight! Lord willing, we have just a few more specks in that hourglass before this all starts. Btw, I can recall just one point in my life (2009) where I did receive one of those “ultra HD” dream visions from the Holy Spirit. As I recall, it began with me manifesting/floating about just the edge of this massive waterfall just roaring down a steep cliff; as if I was at some beautiful, majestic place in nature. Afterwards, I recall seeing a line of tall buildings (around 4-5); my perspective was gazing up at them toward the top, and from the right spanning outward. Suddenly — these building instantly transformed/transitioned into this desolate, black ash looking color…as if it were symbolizing some kind of instant destruction/disaster. Finally, a new scene emerged as I recall hearing this great “whirring” sound, as if it were indicating that things were rushing into a massive finale. I had certain images of God’s Word zoom in around my eyes during all of this. I recall seeing the words “Psalm” and “Job” on these pages. Please check the “Helicopters and rotary-wing aircraft” and see if any of them more closely match what you saw. Thanks for checking them out – a specific hint we might not want to overlook. Ming you’ve actually just triggered a memory. 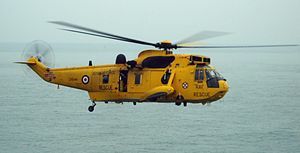 I remember in my vision that I was above the aircraft and I DEFINITELY remember seeing propellers/these circular blade things on top of the machine, it was definitely not an ordinary plane it wasn’t as large as that but it was also not a standard helicopter. Hello Ming thank you very much for those! I do not think it was that striking in color otherwise I think my mind would have picked up on that but considering how weak my memory seems to be it very well could have been that lol. I remember subtle hints of orange and yellow though, but it was definitely not completely white and not completely black. I will continue to search google but at the moment the closest match I’ve seen is a Russian military helicopter. 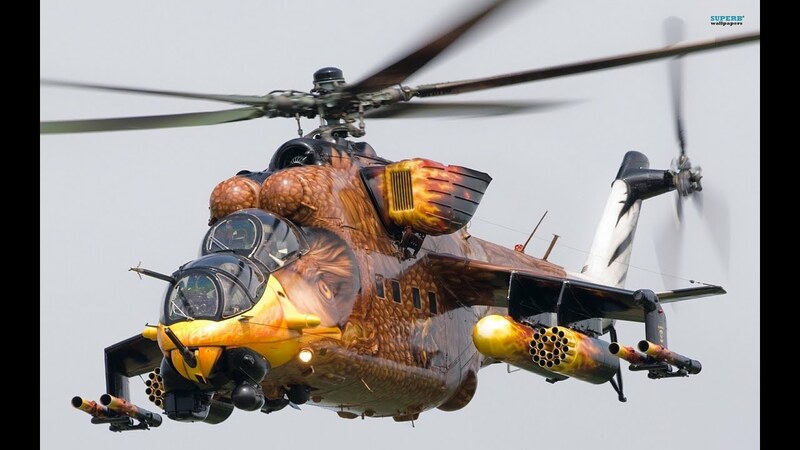 a Russian Mi-24 in UN paint scheme. Not having any luck posting a picture, here’s the link. Matt I now know that what I saw was definitely a type of military helicopter that looked like that except it wasn’t white….definitely had those blades that I specifically recall and it had a longer body than ordinary helicopters. I also know that it did not come from New York but outside the city and possibly outside the US. I say possibly because I can’t recall any part of the middle scene which seemed to have been very significant! similar but with a longer tail… and just as deadly. Wow Adam! I’m so impressed that you can remember so much from 09 as well…I’m struggling with something shown to me just earlier this month lol! Sounds to me like you were most definitely receiving one of those ultra HD real time Holy Spirit movie like visions haha! A few days ago I had a vision where I was looking at the bright sky and the words “I long for you” appeared in black writing (presumably for contrast and to get my attention to focus on God’s message). When I subsequently read a recent post by Jeff Byerley who received a prophetic word from the Lord, the first two sentences in his post actually included the words “I long for you” that God spoke to him concerning His longing for His bride. I did not understand the words I read in the sky from my vision until I read Jeff’s post which acted as a confirmation. I only wish Holy Spirit could freeze or slow a scene down for me to allow me time to assimilate all that I’m shown…it happens SO fast and before you know it you’re being zoned out of the vision and all the while I’m thinking “no no no take me back Holy Spirit I didn’t take it all in” haha…it’s such an amazing experience even though I had the fear of God in me (literally) when I was launched to space. I was thinking “Holy Spirit what is going on here I’m rather afraid” but I knew I was safe because of the heavy strapping and tight grip holding me down in my couch. If you want more insight from the Holy Spirit, I would say just keep asking and expecting to receive! that is one awesome fighting machine. I felt tempted to ask you what the heavy strapping and tight grip holding you down on the couch were. Well, I see you’ve explained it in your comment further on down—- that it was the Holy Spirit. Peggy that’s the best way I could describe what I felt…the unseen, yet physical force of Holy Spirit before my launch off to space. Initially I didn’t know what I was about to be shown but I knew that God wanted to show me something out of the ordinary and unlike some of my other visions which were less intense. It was a surreal experience! Thank-you for sharing your amazing dream/vision. I strive to share anything that the Lord has revealed to me to others. That’s amazing about your closed eye vision. If you feel led to share more details, please do. The “end” will come in AD 2028, as for what happens before then … ONLY God knows! But we still have roughly 12 years left to work for the Lord. Well, if only God [the Father] knows then we couldn’t know that it was 2028, yes? Everything major the Messiah has to do DID and WILL occur on the VERY DAY(S) of the yearly celebrated Feasts God instituted with the Isrealites in the wilderness. Study them sometime. Gabriel – What you claim matches up with a Z3 post regarding info given to Terry Bennett. https://z3news.com/w/you-will-see-666/. I believe America will suffer much well prior to that time, starting any day now. I disagree with your conclusion Jerome. Terry Bennett’s 21-year vision conflicts with Gabriel’s 2028 timeline because Terry Bennett saw 2028 would be when the antichrist completes his rise to power over the world government, economy, and religion, which is what the angel called 666. The antichrist is then given authority to reign for 42-months (Revelation 13:5). At the end of the 42 months, he enters the temple in Jerusalem and commits the abomination that causes desolation (Matthew 24:15). Immediately after that event, the sixth seal is broken, the day of the Lord begins, and the Lord returns for His people (Matthew 24:16-31, Revelation 6:12-17, 14:1-5). I understand your point, James. And certainly that is what you summarized in your post. I am trying to go through the original material now at Terry’s website. I am waiting on TruNews to provide the audio of the 2014 interview (link broken). I wonder if the last 7 years of one world religion that Gabriel told Terry about coincides with the antichrist confirming a covenant with many for one week (Dan 9:27). If it does, the last half of the week would be the great tribulation. I started wondering about this because of the persecution that Terry mentioned in that last 7 years. There is a free book that provides the evidence for this timeline, but I don’t remember it off-hand. It’s the best I’ve ever read on Chronology. See near the bottom of this page for the timeline, and you need to be logged in to FB to view it completely. Enjoy. James, I reviewed Terry’s written account at http://www.prophecyclub.com/latest-prophecies/prophecies-from-terry-bennett1, which I suspect is where you took part of your post from. 1) The 2022-2028 time frame brought the one world religion. I wonder if this could be the covenant with many in Dan 9:27 that is “presented as a solution that will bring peace,” quoting Terry’s account. 2) Terry stated “this religious leader declared this man to be god,” and that Catholics & Protestants would be murdered for not worshiping the beast. This is Rev 13, right? If so, it is after the 7th trumpet. Wouldn’t that mean it is in the tribulation time frame, leading up to the Great Tribulation? 3) Terry told Stan in a phone call that America would fall in 2021. That could line up with your dream of needing to find a place of refuge by 2019/2020. I had asked God to confirm your 2020 presidential winner post on 10/27/16. He reminded me of something I recorded in my prayer journal between Nov 2011 – Feb 2012 that confirmed it (ow.ly/PrA3305HOzt). Severe persecution comes with the breaking of the fifth seal (Revelation 6:9-11), which is prior to the sixth seal/great tribulation, but the length of time is not specified. At a minimum, it includes the 42-month reign of the antichrist (Revelation 13:5), but it could begin years before that. I believe the persecution during Terry Bennett’s final period are the birth pangs, the first four seals leading into the fifth seal and the covenant, which marks the start of the 42-month period. Beyond that, we can only speculate about the exact timing unless God reveals it. I did not know Terry Bennett said America would fall in 2021, so thanks for sharing that. And also thanks for your confirmation. Gabriel, I agree. When Jesus walked the earth He didn’t know the date but since His ascension He and the Father and the Holy Spirit share all knowledge and are in complete agreement. Jesus rebuked the people of His time on earth for not knowing the time they were living in even though they could discern what the weather would be. Very interesting Gabriel. I looked over all the information on your website. Plus I like the fact that you allow people to post their comments. You defend your position very well. About two years ago I believed that the Lord was coming back any second. I understand now that we do have a little time left. I will be watching carefully to see how this all plays out. Regardless we don’t have much time left to do what the Lord has called us to do. Amen, Todd, 12 little years is NOT much time! It will FLY by! I’ve seen 8 years already come and go since God revealed these things to me back in 2008. Time is FLYING! But rest assured, God has planned for the Messiah to return 2,000 years from the year he died on the cross. And you can just see everything setting up! Come quickly, Lord Jesus! Nobody can be certain but 2028 as given to Terry Bennett from Gabriel is the best time line out there in my opinion and I see no conflict with Jame’s podcast, in fact, it seems to be a perfect fit with the last seven year period being the tribulation, 2022-2028. BE READY BY JANUARY !!! If the Lord even grants that much more time, then here’s a thankful “amen” to Him from me! Two more paychecks would be a major blessing. Nov 10,2016. I had a dream very similar to this one. My family and I were eating a hamburger place we frequent. All of a sudden from one second to another I saw Russians attacking us I went to my truck to grab some weapons but I had nothing I was not prepared. All of a sudden some brothers in Christ whom I did not know told me about how an excellent sermon on Jonah they had told me to study it teach it preach about it. And I was distraught I said to myself what am I going to do. I looked at my family and they were scared so the spirit told me go north and we went north in California I could see American soldiers arresting Russian troops. Then I awoke. Brothers’ and sisters’ in Christ please do not fall asleep the storms of judgement are here the fierce winds of deception are here pray to our Heavenly Father devote all your soul and being. If we don’t we will we tossed into the ocean of despair. Please I encourage all do not wait for repentance while you are in the belly of the fish. Seek the Lord almighty while he maybe found and is near. This is sobering. I have been feeling something is coming…just can’t pinpoint exactly what it is. Lord, be merciful to your people! This is such a confirmation to me to totally rely upon God daily. He is readying His people. Thank you for sharing this word. I hope we are all as instantly obedient and ready as you appear to be in this dream, including not being with your family when you are told to leave.